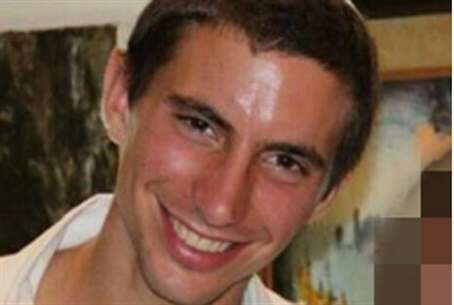 The IDF declared missing IDF officer Second Lieutenant Hadar Goldin, said to have been captured by Hamas, dead. The IDF spokesman announced early on Sunday morning that at 11:25 p.m.on Saturday, the Chief Rabbi of the IDF, Brigadier Gen. Rafi Peretz, declared the death of IDF officer, Lt. Hadar Goldin of the Givati Brigade commando unit, who fell in the Gaza Strip on Friday. The decision was made according to the findings of a special board, headed by the chief rabbi, which examined the details of the incident and related to medical, halakhic and other relevant considerations. The message was delivered to the family by the Head of Personnel, Major General Orna Barbibay and Chief Military Rabbi, Brigadier Gen. Rafi Peretz. To the large crowds standing silently outside their home, the family announced that they had accepted the decision of the board, thanked everyone for their caring and asked the public to attend the funeral of their son, the time of which had not yet been decided. Earlier, following the conclusion of Shabbat, Goldin's parents had expressed shock at rumors, later shown to be unfounded, that the IDF was beginning to withdraw from Gaza, and urged the government not to abandon their son. "I am a Battalion Commander in the reserves, I performed reserves duty until I was 50. (IDF Chief of Staff) Benny Gantz was my commander and it cannot be that he gave an order to the IDF to leave when there is still a soldier inside (the Gaza Strip)," said his father, Dr. Simcha Goldin, outside their family home in Kfar Saba near Tel Aviv. "I cannot imagine that the army would abandon one of its fighters," he continued, expressing hope that reports of an impending unilateral withdrawal were unfounded. "We received tremendous support, because our boys had gone to protect the south and the Gazan belt communities - and I cannot believe that the residents of the Gaza belt would accept that a soldier who went out to defend them has been abandoned." "I demand that the state of Israel not leave Gaza without bringing my child back home to me, and not abandon my son, and not abandon any son that has gone out to defend it," said his mother Hedva, her voice breaking. "Hadar is alive, and I don't want to hear any other possibility," she added, clearly distraught.